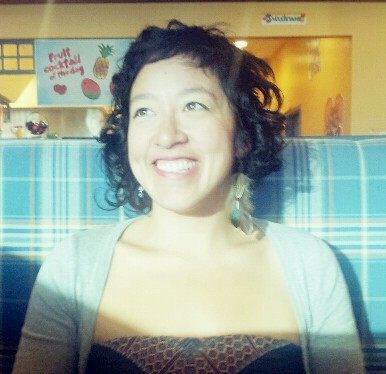 This blog post was written by studio director Emma, who has been travelling across Canada and in the United States for the last few months on a sabbatical from teaching. Emma will be back to teaching at the studio in November, and wishes to share this update about her trip with the QSY community. This post relates to the recent work Queen Street Yoga has been doing on Indigenous land acknowledgement and educating ourselves about the cultural genocide of First Nations populations in Canada. At a contact dance workshop this summer, I participated in an exercise that included walking backwards along a forest path. The exercise encouraged us to sense the space behind us, which is a useful awareness to cultivate in dance. I walked backwards for over an hour along a winding forest path, over jagged rocks, bumpy tree roots and clumps of moss. The sensation was fascinating. I realized that I have had a habit of looking down at the ground as I walk, in order not to trip. Facing away from where I was walking to required me to slow down a great deal and sense carefully with my feet the texture and topography of the ground. Looking down was no longer a helpful strategy. My gaze was up and my awareness surrounded me like a sphere. I was no longer focused on moving ahead, on getting somewhere; I was filled up with the view of the landscape I was moving through, and an energetic sense of the landscape I was backing into. One of the most noticeable differences in the experience of walking backwards is that your view is constantly widening. Rather than things disappearing from your peripheral vision (which is what happens when you move forwards) the landscape appears slowly at your sides and seems to bloom out and emerge from the edges of your vision. What you see seems to grow in context and size, rather than shrink in anticipation and pursuit of your destination. Walking backwards, one is not preoccupied with the destination, rather, with having the fullest sense of the landscape, and of treading carefully on the ground. I was doing this walking backwards exercise shortly after I had left the archipelago of Haida Gwaii, sometimes referred to as “The Edge of the World” due to its remoteness and the way it reaches out into the Pacific Ocean, leaning away from the west coast of Canada. 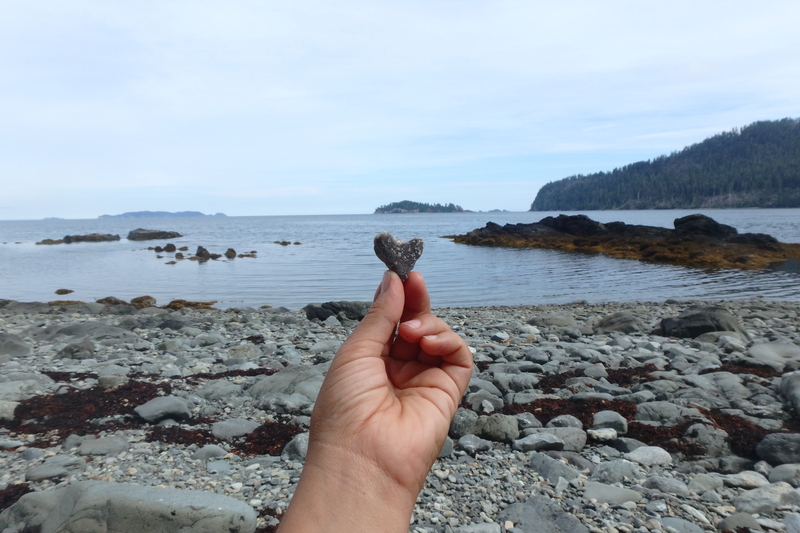 On Haida Gwaii I experienced for the first time a sense of the landscape as an intersection of story, animal, elements and change. My view widened in the presence of the Haida people claiming, protecting and relating to the land. Being on Haida Gwaii was like the perspective changing act of walking backwards – the presence and visibility of the Haida in government, art and cultural celebration added context and depth to the landscape, a sense of cultural bedrock, even as that bedrock had been shaken in the last two centuries by a smallpox epidemic, forced residential schooling and cultural genocide. I recognized that that cultural bedrock, that deep relationship between people and land exists everywhere in the world, though in most places it has been suppressed, erased, colonialized. 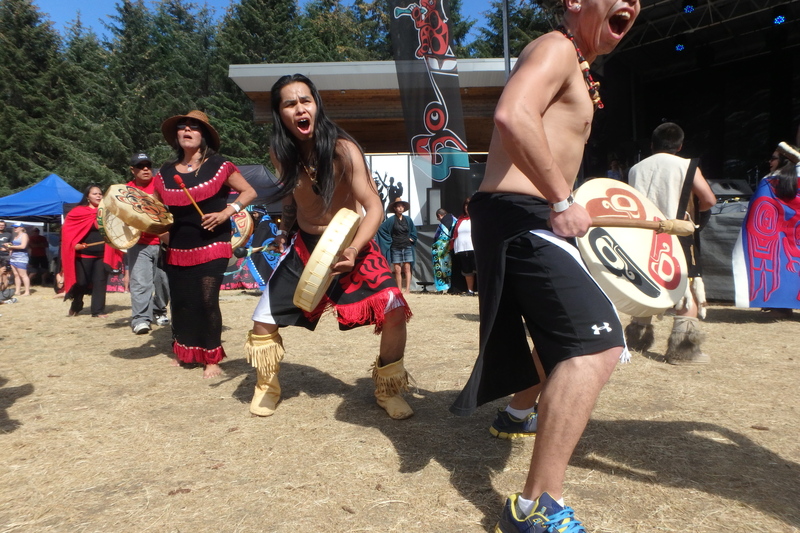 Kuun7laanaas Dancers sharing their culture at The Edge of the World Music Festival, Haida Gwaii, July 2016. Going from Haida Gwaii to Vancouver Island and then on to Lasqueti Island where my dance workshop was taking place, I saw less and less context from or in relation to First Nations peoples. There was some mild presence on trail signage or public art. It was still more recognition than I see in Ontario, where First Nations history and present communities feel almost entirely hidden and invisible, especially to the urban populations. As I walked backwards on that forest path on Lasqueti Island I wondered about the cultural bedrock of this place. No one I asked on this island could tell me what peoples had inhabited this area before settlers. I walked backwards, taking in the arbutus, hemlock and pine trees on either side of me, and wondered about the stories, memories and events of this specific place. As I continue travelling around the North American continent, I am trying to orient myself as if I am still walking backwards. I want to turn around and acknowledge the territories that I have passed through, acknowledge that their history goes back further than the accepted stories of European settlement. I want this to widen my view, give me a more spherical sense of time and place, history and present, erasure and privilege. With my back moving forwards and my gaze facing back I want to travel with a broader sense of what I am passing; a remembrance of the impacts of colonialism, and a careful eye on how the present emerges from the edges. This naming is a small gesture of recognition, a step backwards? forwards? towards? a sense of place that remembers, acknowledges and attempts to practice solidarity with the cultures and communities that have been impacted by our colonial past and our capitalist present. The names of the various first Nations peoples above have been sourced from Native-land.ca, a website created by a person of settler background with the intent of mapping territories, languages and treaties respectfully, with the acknowledgement that boundaries and mapping have often been a colonial practice used for division, erasure and capitalist gain. It is presented as a work in progress, and I appreciate that the website invites criticism, discussion and evolution. My original intention in the writing of this post was also to include the traditional names of the places that I visited, but this has proven to be more difficult to source. I appreciated reading this article by Otipemisiwak (Métis) artist Christi Belcourt wherein she details the ways that the renaming of peoples and places has been a colonial practice that erases Indigenous origin and experience. It is little wonder that learning the names of places is a difficult and tangled process. The Decolonial Atlas is one place that attempts to gather indigenous place names from all over the world. Another part of my practice of “walking backwards” and expanding my sense of place has been to write letters to ViaRail and BC Ferries, noting the omission of First Nations history from their “points of interest” and recommending that they begin the process of acknowledging the history of the land they are educating their passengers about, as well as acknowledging the cultural genocide that took place at the hands of our government and its citizens.